Ideally, major league baseball trades are supposed to benefit both organizations. In the long run, it usually works out that one team often seems to get the better end of the deal. The Toronto Blue Jays are currently reaping the rewards for a transaction made on July 31, 2009. The Cincinnati Reds traded Edwin Encarnacion and two others to the Blue Jays for Scott Rolen. Rolen was a National League All-Star and earned a Gold Glove in Cincinnati at third base, while helping the Reds to playoff appearances in 2010 and 2012. It worked out for the Reds, but now the scales are tipping to Toronto. Encarnacion was a developing player with the Reds and to be fair, struggled at times defensively at third, which likely prompted the swap for Rolen. 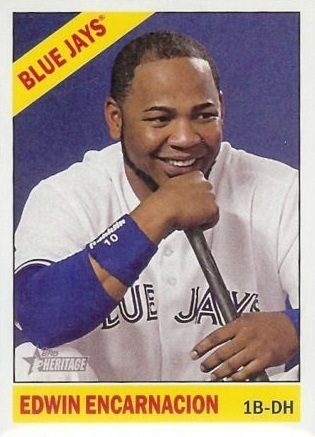 With Toronto, Encarnacion is primarily a designated hitter with a booming bat. He hit 71 homers with the Reds and since coming to the Blue Jays, he’s connected 188 times as of Sunday, Aug. 30. The 32-year old currently has 30 homers with 91 RBI this season as the Blue Jays lead the American League East. He has been to the all-star game twice and in 2012, he hit 42 homers with 110 RBI. As the Blue Jays fly toward the post-season, Encarnacion’s bat will certainly create excitement as he reaches for new career-high numbers over the next month. Encarnacion’s success brings back memories of another former Reds player who was traded back in the 1970s. 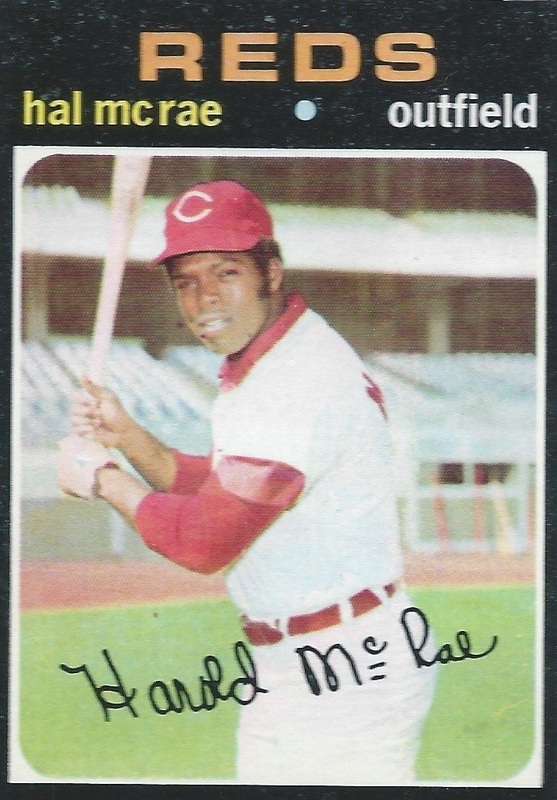 After acquiring George Foster and Cesar Geronimo, Hal McRae’s time in the Cincinnati outfield was becoming limited. An injury in 1969 had taken some of his speed and set the stage for a trade to the Kansas City Royals prior to the 1973 season. The Reds got pitcher Roger Nelson and outfielder Richie Scheinblum in the deal for McRae and pitcher Wayne Simpson. Nelson was 7-6 with a 3.41 ERA in two seasons in Cincinnati. He pitched in the 1973 playoffs against the New York Mets, but his time with the Reds wasn’t that memorable. Scheinblum had been an all-star for the Royals in 1972, but just played in 29 games for the Reds and was traded to California Angels midway through the 1973 season. Simpson went 3-4 for Kansas City in his only season with the Royals, but it was McRae who became the centerpiece of the deal as he turned into one of the top designated hitters in the AL. McRae played 19 years in the big leagues with 15 of them in Kansas City. He was a three-time all-star and had a career batting average of .290 with 191 homers and 1,097 RBI. After leading the AL with 54 doubles in 1977, McRae won a Silver Slugger in 1982 with 46 doubles and a career-best 133 RBI. Unlike Encarnacion who hasn’t made it to the playoffs in his career, McRae played in 48 post-season contests and batted .294. He was with the Reds and 1970 and 1972. The Royals made the playoffs seven times with McRae in the lineup and they won the World Series in 1985 over the St. Louis Cardinals just before his career ended two years later. Former Cincinnati Teammates to Meet? In an interesting twist, the Royals beat the Blue Jays in the 1985 AL Championship Series with a former Red in the batting order. That was the last time the two teams met in the post-season. This year, there is a possibly that the Royals and Blue Jays could square off again in the playoff as two former Cincinnati Reds teammates, Encarnacion and new Kansas City pitcher Johnny Cueto would face each other with a lot on the line.